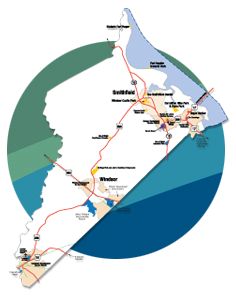 The 1,735-acre Norfolk Southern Site is located in Isle of Wight County near the Town of Windsor. It is adjacent to the Shirley T. Holland Intermodal Park, which is home to Keurig Green Mountain Coffee, Cost Plus World Market’s Virginia Distribution Center and Safco Products Company. 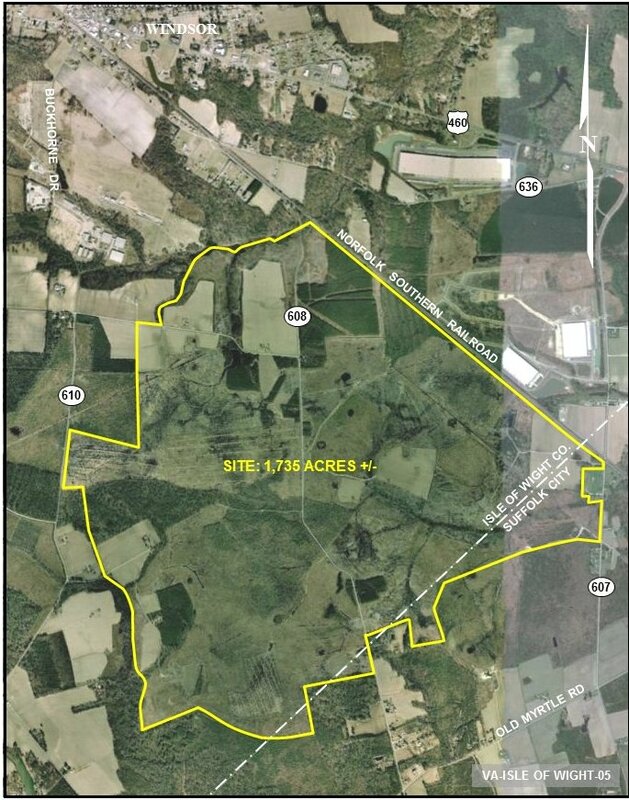 The site is zoned Conditional General Industrial, is served by the Norfolk Southern Railway Mainline, Milepost N32, and all utilities are available to the site. It is 1.2 miles from U.S. Route 460 and only 32 miles from the Port of Virginia. For more information, contact Amanda Nesmith, Norfolk Southern, 757-823-5482 or Roger Bennett, (717)541-2230.